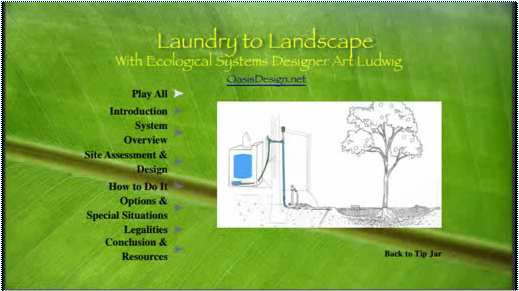 Instructional video about how to design and build Laundry to Landscape Greywater Systems. 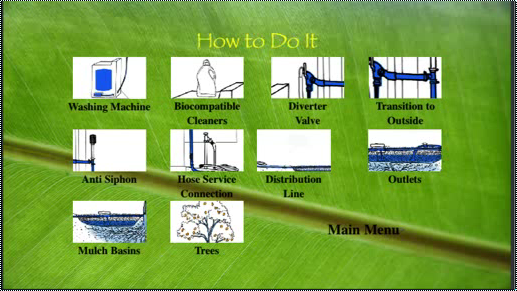 These are the simplest, most economical greywater systems to install yourself as an owner or renter, and a good green collar job opportunity (as a self-employed installer or as part of your landscape, plumbing, or construction business). DVD—$19.95 Soy ink color printed in a recycled cardboard case. ISBN 0-9643433-8-X. Digital Download—$14.95 Choice of resolutions. 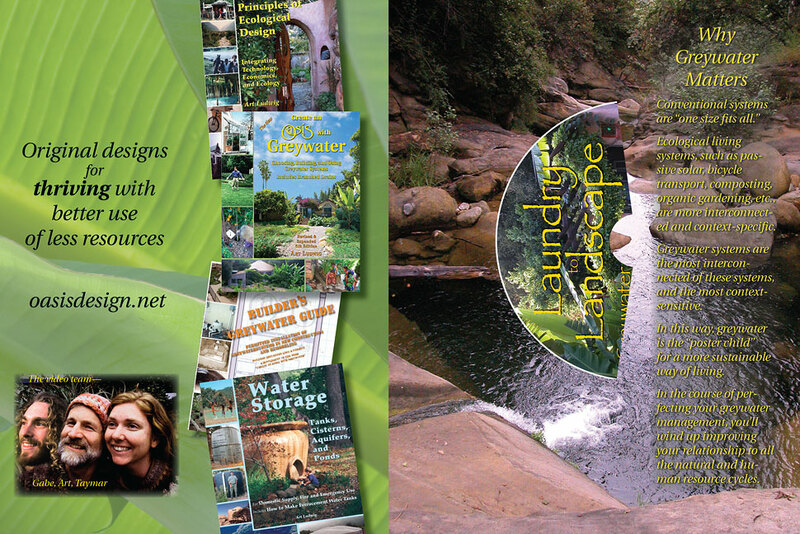 Laundry to Landscape is an open-source, collaborative, state-of-the-art design initiated and curated by ecological designer Art Ludwig. 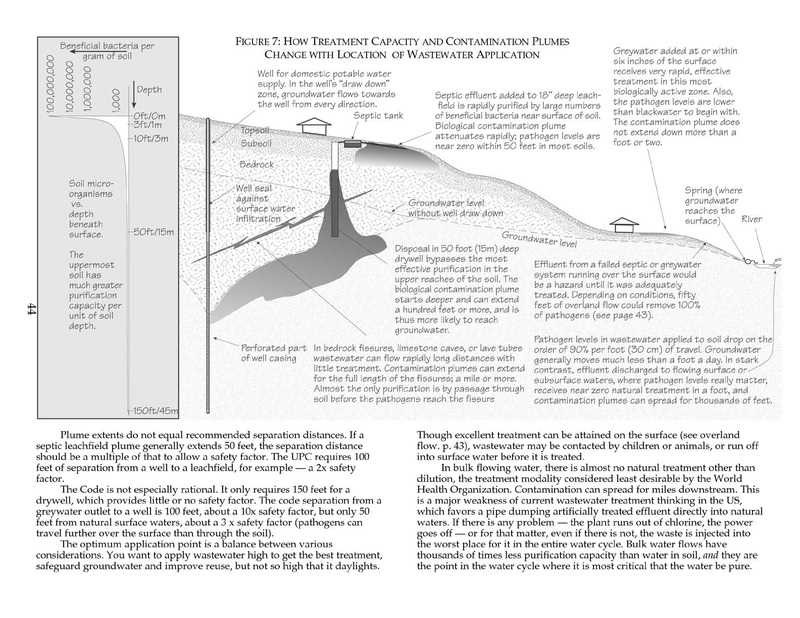 Simple, elegant, and unpatented, it uses off-the-shelf components. 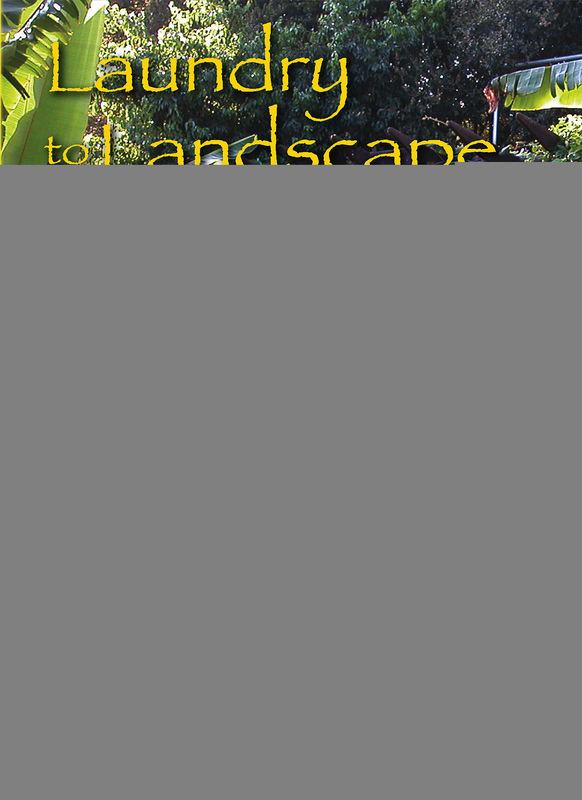 Due to its inherent simplicity and low cost, it is the greywater system which promises to be most suited to professional installation by landscapers. In many parts of the world it is likely that someone could make their own small business based entirely on the installation of these systems. This video covers how-to basics for homeowners and renters. 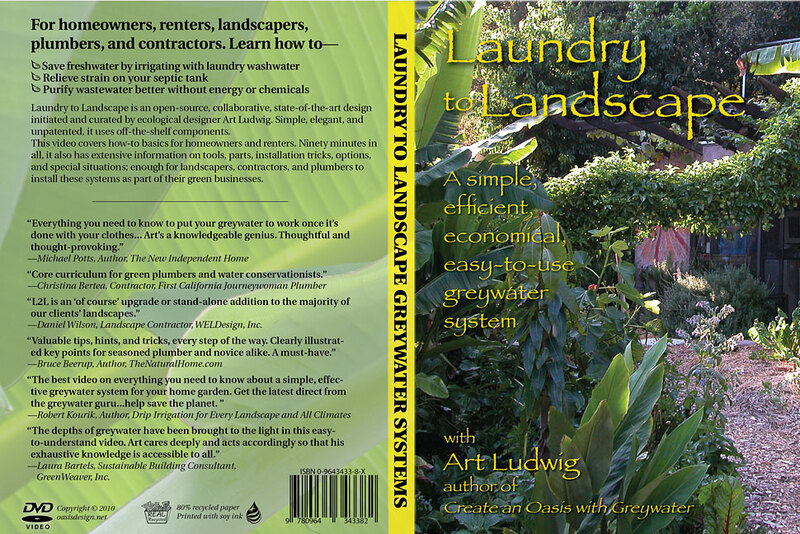 Ninety minutes in all, it also has extensive information on tools, parts, installation tricks, options, and special situations; enough for landscapers, contractors, and plumbers to install these systems as part of their green businesses. 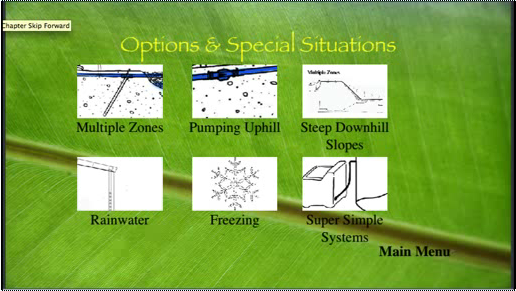 “L2L is an ‘of course’ upgrade or stand-alone addition to the majority of our clients’ landscapes.” —Daniel Wilson, Landscape Contractor, WELDesign, Inc.
“The depths of greywater have been brought to the light in this easy-to-understand video. Art cares deeply and acts accordingly so that his exhaustive knowledge is accessible to all.” —Laura Bartels, Sustainable Building Consultant, GreenWeaver, Inc.